Imperial researchers have improved the process of using biology to create products such as fuels, medicines, plastics, and cosmetics. This could result in cheaper and more eco-friendly biofuel production and more efficient plastic recycling. Bioprocessing, which uses living cells or their components to create products like biofuels, medicines, plastics, and cosmetics, requires a lot of time and is expensive. Now, Imperial researchers say they can break down plant-based biomass 30 times faster than presently possible. The findings are reported in Nature Chemistry. If this new method is adopted on a large scale, fuel-related carbon emissions could drop by 80-100%. 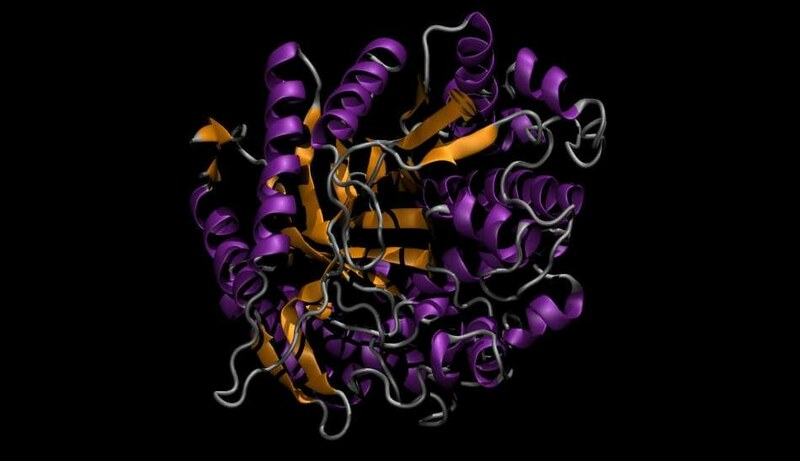 Dr Alex Brogan, of Imperial College London’s Department of Chemical Engineering, and colleagues altered the glucosidase enzyme, which enables breaking down of complex carbohydrates in biomass, for example, cellulose from plant cells, into its basic units, glucose. The glucose can then be fermented to create ethanol, a type of biofuel. Biofuels are fuels composed of living matter like plants, otherwise known as biomass. Compared to fossil fuels, they release far less carbon dioxide, so are a lot better for the environment. The most expensive and time-consuming part of the process is releasing glucose from cellulose. This is partially the reason why enzymes normally stop functioning at temperatures higher than 70 °C and when exposed to industrial solvents like ionic liquids. However, if the enzyme could function in ionic liquids and higher temperatures, the conditions would quicken the process. To make glucosidase more strong, Dr Brogan and colleagues changed its chemical structure to let it endure heat of up to 137 °C. The change also signified they could use the enzyme in ionic liquids rather than the usual water, and that they could use just one enzyme instead of three. They learned that the joint effect of heat resistance and solubility in ionic liquids boosted the glucose output 30-fold. We’ve made bioprocessing faster, which will require less equipment and will reduce carbon footprint. One major advantage of this will be increased biofuel production – potentially helping biofuels become more widespread as a result. The modification could be applied to a wide range of enzymes, for numerous applications, such as producing fuels from waste and recycling plastics, and can make bioprocessing more efficient. This study was sponsored by the Engineering and Physical Sciences Research Council (EPSRC). Diamond Light Source, which is sponsored by the Science and Technology Facilities Council (STFC) and the Wellcome Trust, provided access to the B23 and I22 synchrotron beamlines where scientists measured enzyme thermal stability and structure.